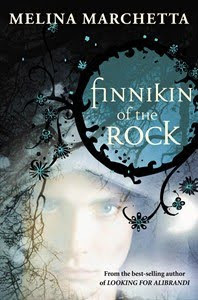 Blurb: Finnikin of the Rock and his guardian, Sir Topher, have not been home to their beloved Lumatere for ten years. Not since the dark days when the royal family was murdered and the kingdom put under a terrible curse. But then Finnikin is summoned to meet Evanjalin, a young woman with an incredible claim: the heir to the throne of Lumatere, Prince Balthazar, is alive. The characters are wonderful. Their lives are anything but perfect which makes their character flaws all the more understandable. Even the ending isn't a fairy tale but it fits the story and I was very happy when I shut the book for the last time. The story line is easy enough to follow even though the reader isn't given all the facts. You have to try and solve the problem along with Fin and Evanjalin. This, l think, is one of the more enjoyable types of novels because the ending isn't predictable and you feel like you are apart of the action the whole way through.